In the 2017 financial year, the Hermes Group again achieved double-digit growth and was especially able to evidence profitable gains in central European parcel markets. In this way, adjusted for currency, the Hamburg-based retail and logistics services provider, increased its turnover in the 2017 financial year by more than 12% to EUR 3.13 billion. Primarily responsible for this positive development are Hermes’ parcels and two-man handling companies both in Germany and abroad, which together generated more than 85% of group sales. In 2017, they transported the record amount of 766 million consignments (15% more than in the previous year). As a result, Hermes was able to build on its No. 2 position within Europe’s largest CEP markets, and asserted itself as the market leader in two-man handling in Germany and France. The number of people employed by Hermes worldwide also rose in the 2017 financial year, to a total of 15,300 (+8.2%). With significant investments of more than EUR 130 million in extra capacity, the final mile, customer experience and digitalisation, in the 2017 financial year the Hermes Group positioned itself with the future in mind and expanded its market position. By 2020, the company, which is part of the Otto Group, is planning additional investments of around EUR 500 million across all business units within the coming three years. 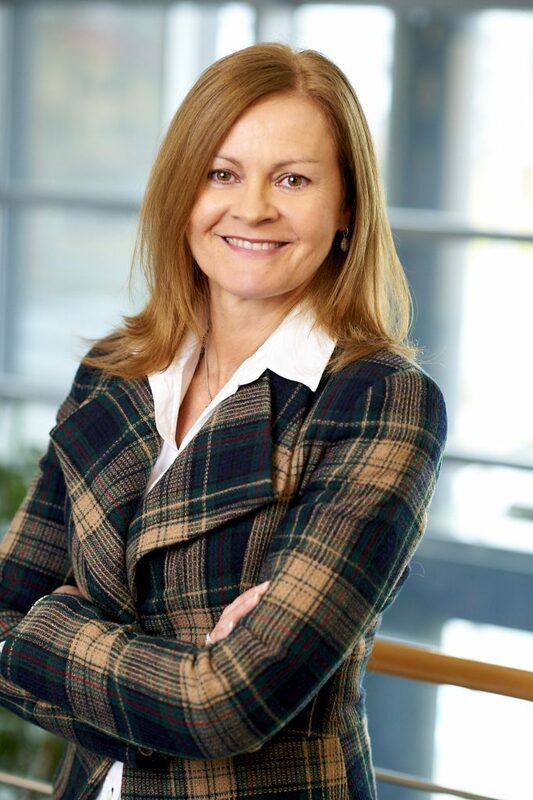 “We are very pleased to have once again achieved double-digit growth in the 2017 financial year, and to have recorded our most successful financial year to date,” explained Carole Walker, who has been CEO of Hermes Europe since November 2017. “These results show that our clear focus on customer proximity and flexible services, internationalisation, digitalisation and innovation is working well, and that this is the approach to meet our customers’ needs and wants. An additional focus in 2018 will be on expanding our global cross-border parcel business. We plan to achieve this by means of comprehensive investments and the establishment of an independent business unit, Hermes International.” 2017 also marked the first time that the Hermes France Group and the same-day-delivery specialist, Liefery, were consolidated within the Hermes Group. Each offering their country-specific services, they contributed significantly to Hermes Group’s positive business development in the wake of the booming international online trade which continues to flourish. 2017 saw the Hermes Group experience particular growth in its core market – the Europe-wide distribution of goods and consignments. The Hermes parcel companies in Germany, the UK, France, Austria, Italy and Russia were again able to clearly participate in the continuing boom in e-commerce and transported more than 766 million packages to end customers across Europe – 15% more than in 2016. Around 80% of this volume can be attributed to retailers and third party clients outside of the Otto Group, whose volumes increased by around 17%. Essential to this were significant investments in services and infrastructure. In the parcel business, Hermes was able to expand its market-leading position in Germany, the UK and France. Hermes also continues to lead the two-man handling market in Germany (Hermes Einrichtungs Service) and France (Girard Agediss). Indeed, in Germany, Hermes boasts a 70% market share within the large-item segment. Hermes Germany remains on a clear course for growth and is equipping itself with modern infrastructure for growth over the next few years. In 2017 alone, within the framework of a EUR 300 million investment program, four state-of-the-art logistics centres were put into operation, including those in Berlin and Bad Rappenau. By 2020, five more new buildings will follow in metropolitan areas such as Hamburg, Cologne and Leipzig/Halle. Parallel to this, in the medium-term Hermes is increasing the number of ParcelShops by 30% to 20,000 collection points. In this context, nation-wide collaborations are also planned with retail chains. As of May, Hermes parcels recipients will benefit from an improved personalised delivery service (WunschZustellung). Customer convenience will be further improved, by which means, in particular, the short-term redirecting of parcels, for example to a ParcelShop or to a neighbour, will be simplified. Further services, including a digital delivery notice, will follow. In addition to this, in 2018 Hermes will introduce shorter delivery time windows, which will allow the arrival of a package to be accurately forecast to up to 30 to 60 minutes. This will be made possible by means of a new, fully digital route planning system, which Hermes will introduce nationwide. Customer journeys will thus become even more efficient and the carbon emissions per parcel will again be reduced. Under the project name “Urban Blue”, Hermes Germany is promoting a nationwide programme for the reduction of emissions and traffic. Central to this is a strategic co-operation with Mercedes-Benz Vans which was concluded in May 2017. In this context, by 2020 up to 1,500 electric delivery vehicles will be put in operation. The first pilot vehicles will start in the coming weeks in Hamburg and other places. The partnership with Mercedes-Benz Vans is to be supplemented by numerous further collaborations and projects, specifically also involving cargo bikes, e-scooters and other alternative delivery methods. In terms of the required nation-wide establishment of a charging infrastructure, Hermes will also rely on partnerships. 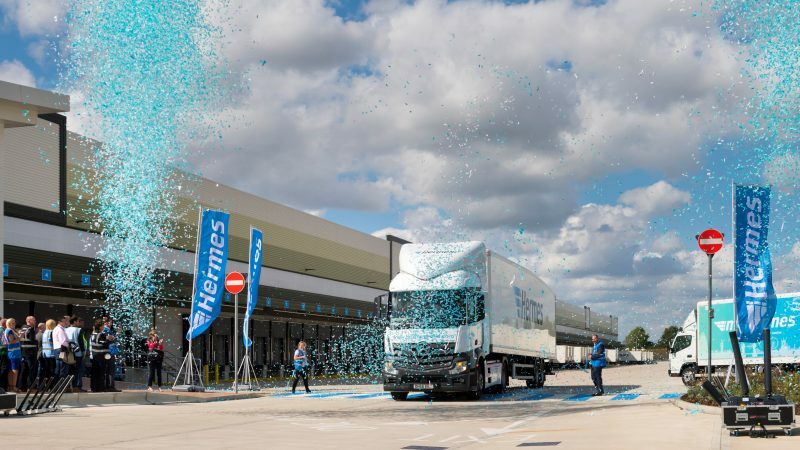 Innovative city logistics solutions are also the focus of the same day delivery specialist, Liefery, in which Hermes has been the majority shareholder since March 2017. Liefery, together with Daimler subsidiary Smart, is currently testing parcel deliveries in car boots in the city of Hamburg. Further cities could follow. Also in metropolitan regions, including in Hamburg and Berlin, Liefery might additionally significantly intensify the collaboration with the food supplier, HelloFresh, as an established player in the food delivery market. 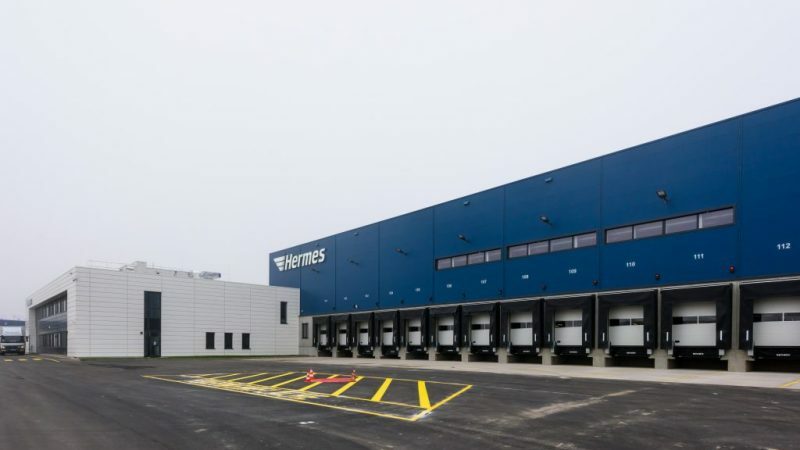 In order to be able to successfully develop its German parcel operations despite the intense market competition and pressure to invest, Hermes Germany has already announced average price increases of 4.5%. The increased revenue will largely be invested in wage costs, in particular in the couriers’ wages. The audit and certification programme operated with SGS TÜV Saar will be further strengthened. 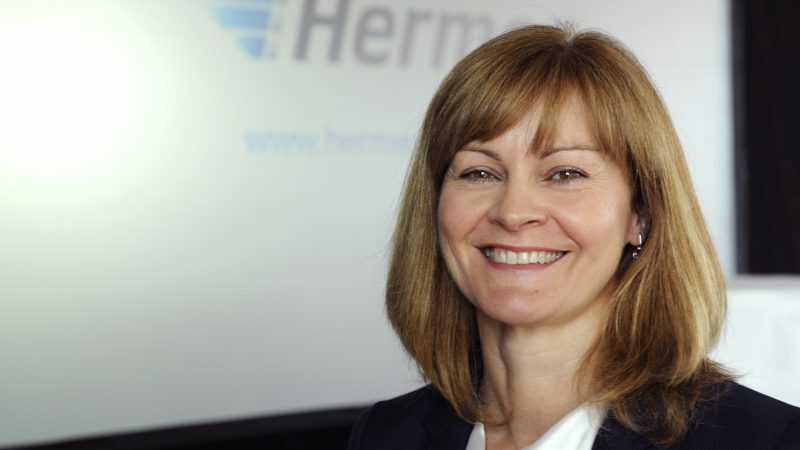 Hermes’ UK parcel operations, which has experienced double digit growth over the past six years, again recorded significant achievements in 2017 with annual volumes up 16.5%, exceeding industry growth. Particularly strong growth was achieved in next-day-delivery operations (+22%), in ParcelShop deliveries (+25%), and in the development of international parcel operations (+15%). 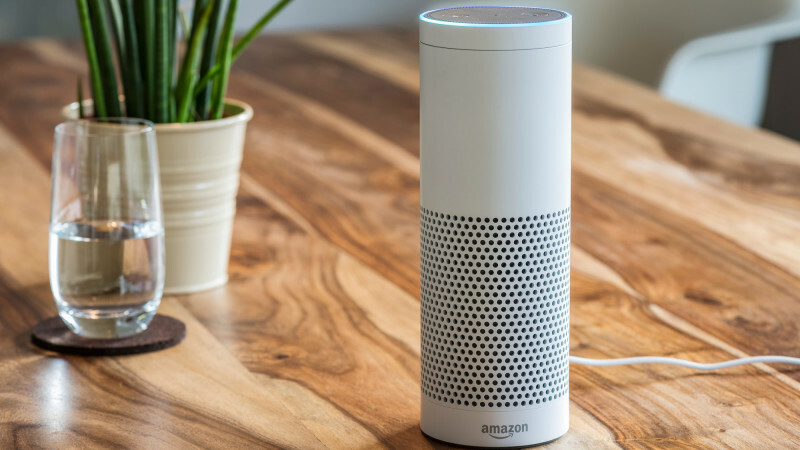 Innovative and digital services also saw significant growth, as Hermes became the first UK parcel company to fully integrate its end-to-end tracking solution with Amazon Alexa and Google Home smart speakers. In 2017, Hermes UK also launched a Pay and Print in-store solution, enabling customers to book and pay for deliveries in a ParcelShop for the first time and helping Hermes ParcelShops to achieve a 7-point increase in its NPS score. 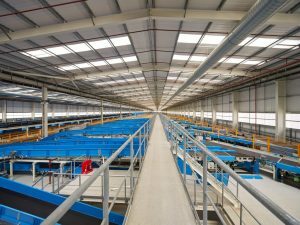 In addition, Hermes opened the UK’s largest automated parcel distribution hub at Rugby, which is the second largest logistics hub in Europe. 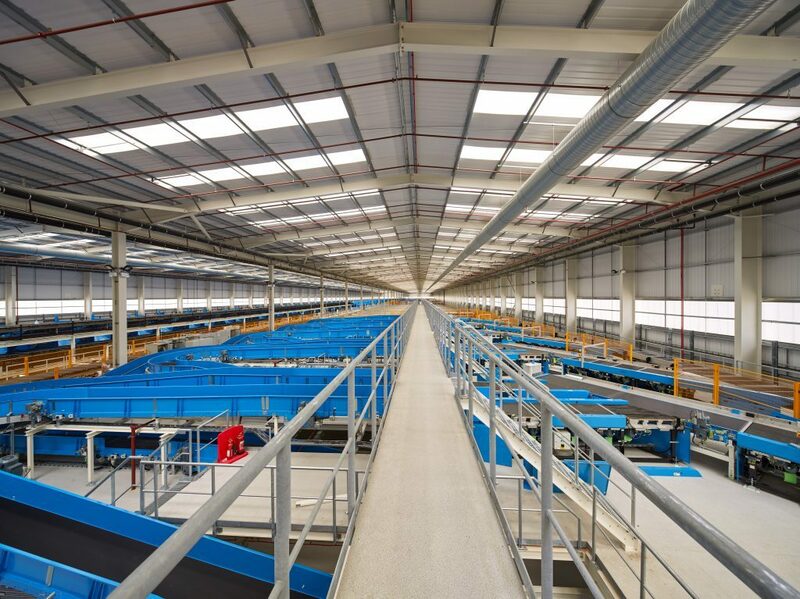 Offering deliveries 7 days a week and with a ParcelShop network now totalling more than 4,500 collection points, Hermes’ UK parcel operations will continue to roll out its Digital Futures strategy throughout 2018 to place the customer experience at its heart with updates including a new app, website, safe place photo and geo-fencing capabilities. With a double-digit increase in revenues and volumes in 2017, the Hermes France Group, the most recent addition to the Hermes Group (formerly 3SI/ Otto Group) made a very successful start and established itself as an important contributor to the positive business development enjoyed by Hermes in the French, Belgian and Spanish markets. The number of ParcelShops in these countries grew significantly to around 7,500 collection points (an increase of 700 compared to 2016). In the French capital of Paris, customers were for the first time able to order bicycle courier delivery from a ParcelShop (collaboration with the start-up, tous facteurs). This cooperative partnership is now to be extended to other parts of France. Thanks to increasing public awareness of the brand, Mondial Relay achieved volume growth of around 31% in the private client segment. Hermes France Group also owns the expanding 2-man handling specialist Girard Agediss, the French equivalent of the German company Hermes Einrichtungs Service (HES). In Paris, the company for the first time offered same-day delivery of furniture within a time window of two hours, which was received positively on the customer side. For the 2018 financial year, Hermes Group’s focus lies on improving end customer experience, driven by three strategic pillars. Significant investments in digitisation & innovation (1), aggressive international growth (2) and final mile and peaks flexibility (3) will further enhance customer satisfaction and underpin Hermes’ successful growth path. 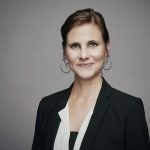 In March, the Hermes Group established the independent business unit, Hermes International, which serves to pool international business activities as a one-stop-shop for all international requirements. Hermes International therefore represents the Group’s clear focus on driving global growth. It comprises, among others, the start-up BorderGuru, which focusses on the e-commerce markets in Asia and the US, and whose clients include the Asian top retailer Alibaba and the US-brand Revolve.